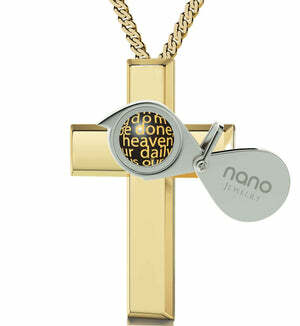 Womens Cross Necklace with Lord's Prayer. 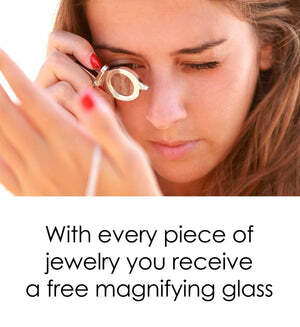 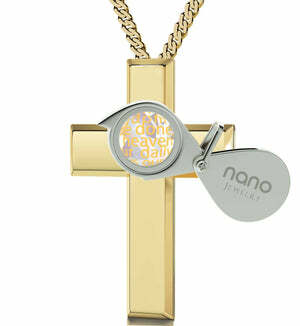 Order Now from Nano Jewelry! It is within ourselves to turn the moments of greatest humiliation or powerlessness into a starting point for glorious things to come. 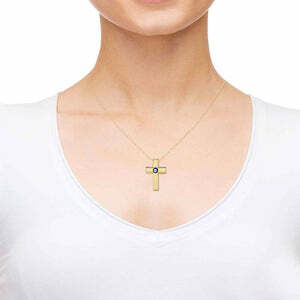 There’s no better example for this than the cross – the symbol of Jesus’ torment and suffering turned into the sign with which we celebrate his triumph over death itself. A womens cross necklace is therefore a common sight, and the question arises – how do you make the universal religious gift for women better? How to give it a personality that resonates more deeply with its wearer? We’ve pondered on these very questions long and hard, and the answer to them is a Christian gift through and through. 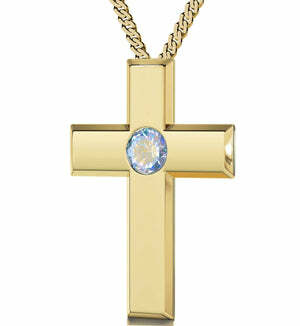 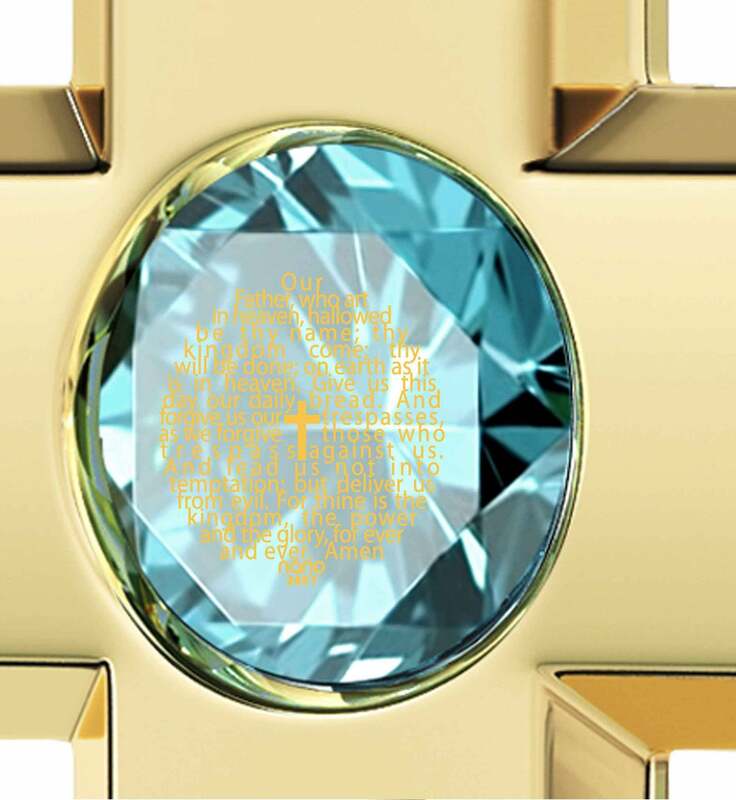 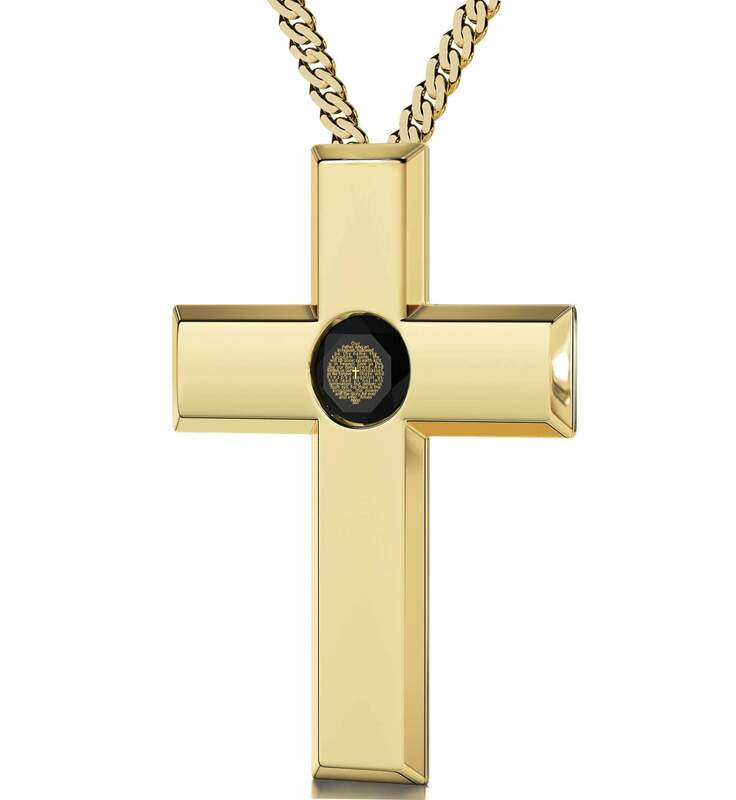 Instead of detracting from the cross’ spiritual worth by studding it with lots of gems and burdening it with ornamentation, the unassuming yet powerful shape of the gold cross necklace is kept intact, enhanced only by a single precious Swarovski stone and the important message it brings. 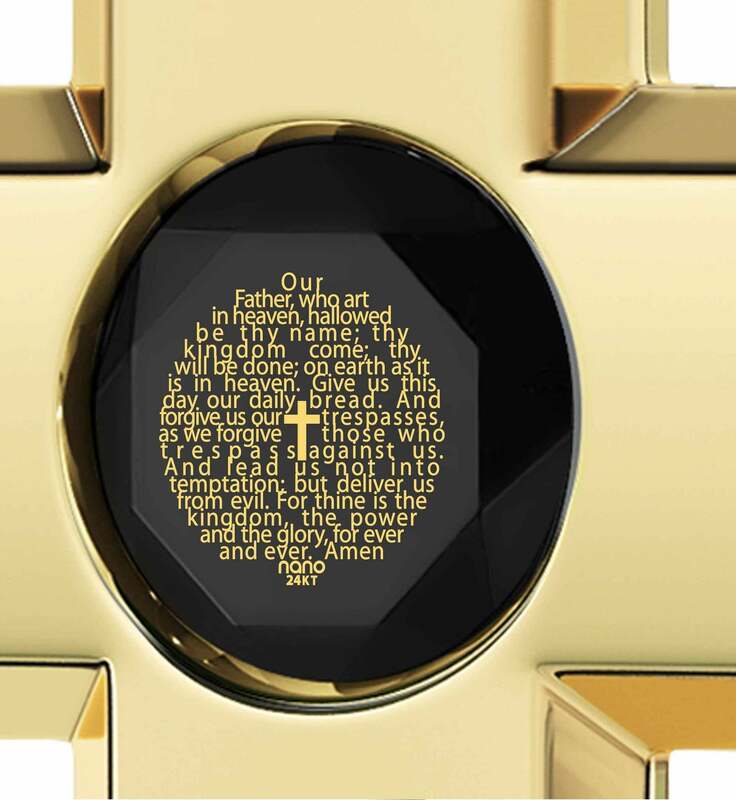 That message is a golden inscription of the Lord's Prayer, traditional version, arranged around an even smaller cross. 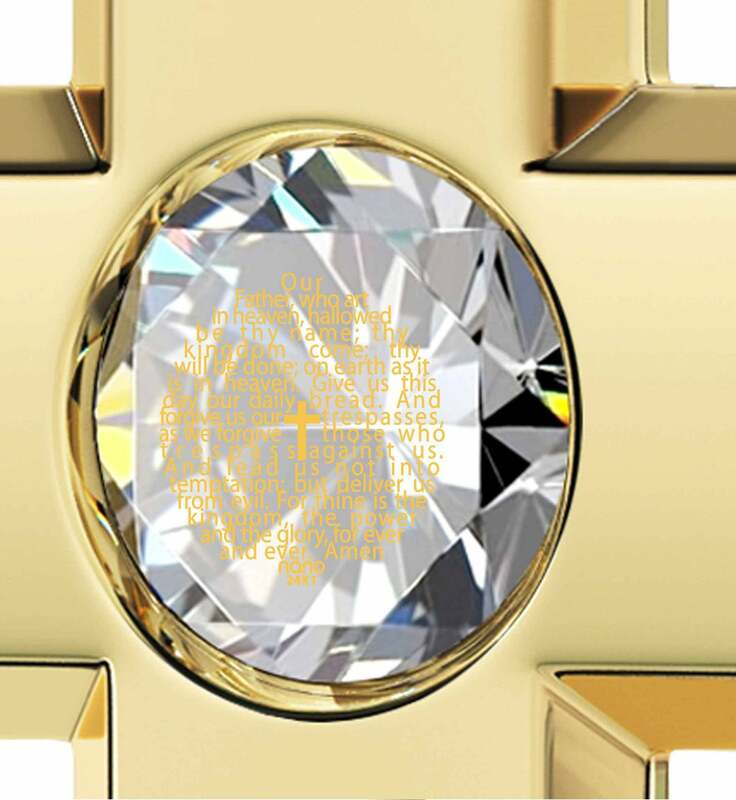 As delicate as it is sharp, every letter that makes it up is a statement of devotion, and a pretty fine result of the unique inscription technique employed in their creation.